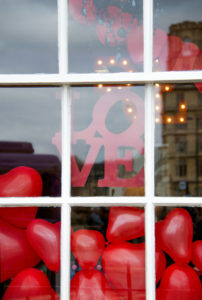 Valentine’s Day is one of the largest sales generating holidays. According to a survey from the National Retail Federation for sales projections from 2016, American consumers showed the love by spending almost 20 billion on flowers, jewelry, apparel, cards and other gifts for their sweethearts. 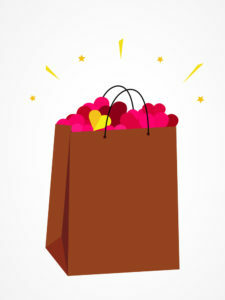 Here are some tips to boost your sales during the Valentine’s Day shopping season. Make a bold statement in your window display. Window displays have an incredible effect to draw in customers who had no previous interest in your shop. You can get creative and detailed or simple and bold to a make a statement.The point of the window display is to captivate people and let them know the window is only the beginning and that you have something much more fascinating going on inside. Backdrops are very popular props for window displays that will effectively relay your message to consumers with minimal effort. Once customers enter your retail space, let them know what is going on. Signs may seem like a simple retail staple but they can be much more. Besides providing basic information signs add excitement with bold messages, eye catching graphics and colors. 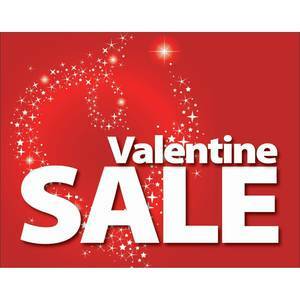 Retail Resource offers an exclusive Valentine’s Day sign collection that will let patrons know just how special the merchandise is and urges them to make a purchase by that February 14th deadline or prepare to disappoint their loved ones. Implement P.O.P. 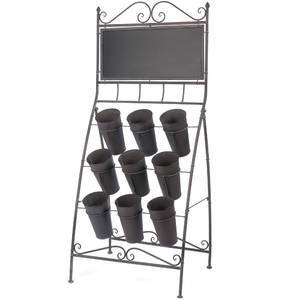 displays to increase impulse sales! 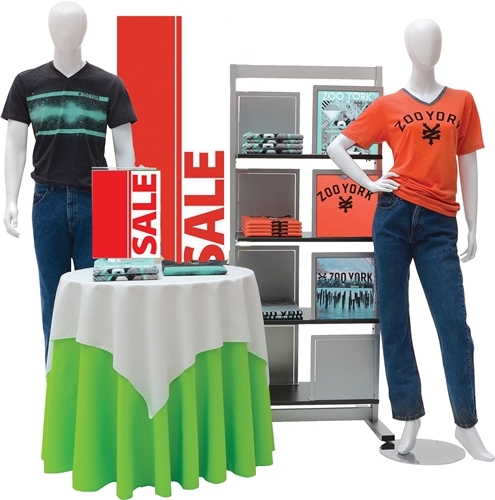 Point of purchase displays allow you to put merchandise directly in your customers’s path. Set up seasonal P.O.P. displays in high traffic areas to give shoppers a chance to view items that would normally be out of the way. P.O.P. displays are a great way to cross merchandise and increase impulse purchases. Add a rack with plush teddy bears and chocolate hearts at the end of the wine aisle, a counter top greeting card rack at the check-out or a fixture with gift wrap at the jewelry counter. However you choose to merchandise your store this Valentine’s Day, make sure your presentations are entertaining allowing you to draw in customers for an experience rather then a dreaded last minute necessity. People are more likely to spend when the shopping experience is an enjoyable one! People are more likely to spend money when they are having fun!